Get ready to get joyful. 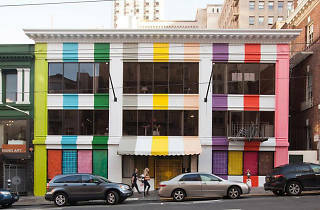 Set to launch a thousand Instagrams, a technicolor fantasy world awaits, tucked into a once-nondescript Union Square office building that now resembles something straight out of a psychedelic candy shop. 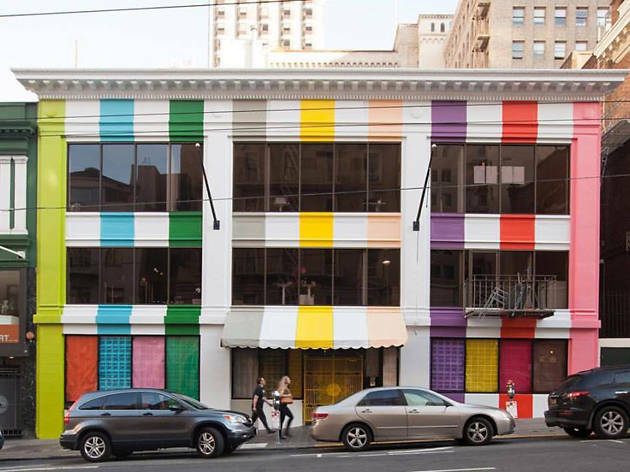 This experiential installation encourages folks of all ages to plunge into childlike whimsy with a massive yellow ball pit, a forest of rainbow ribbons and a full-spectrum confetti room. Brightly-hued bites will tickle tastebuds as guests gleefully explore works by blog-worthy artisans.